Hide this Project (Silver Oak Welfare Society) Discover properties in other projects by hiding the ones that doesn't interest you. You won't see them in your searches further but you can unhide anytime later. Hide this Dealer (Disha Properties & Consultant)Discover properties by other dealers by hiding those whom you have already spoken to. You won't see them in your searches further but you can unhide anytime later. Hide this Dealer (Mr.Talreja) Discover properties by other dealers by hiding those whom you have already spoken to. You won't see them in your searches further but you can unhide anytime later. Hide this Dealer (Makan Realty)Discover properties by other dealers by hiding those whom you have already spoken to. You won't see them in your searches further but you can unhide anytime later. Silver Oak Welfare Society in Bevarly Park, Mira Road And Beyond by Kanakia Spaces Builders is a residential project. Silver Oak Welfare Society price ranges from 40.00 Lacs to 84.00 Lacs. Silver Oak Welfare Society offers facilities such as Lift. It is a ready to move project with possession offered in Oct, 2010. The construction is of 8 floors. In which area is Silver Oak Welfare Society located?The project is situated in Bevarly Park, Mira Road And Beyond. What size of flats are available in Silver Oak Welfare Society? The apartment sizes in the project vary from 375.0 sqft to 1200.0 sqft. What is total area of 1 bhk in Silver Oak Welfare Society? 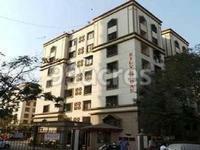 1 BHK unit in the project are available in an area of 375.0 sqft. What is the area of 2 bhk in Silver Oak Welfare Society? The size of a 2BHK unit in the project ranges from 800.0 sqft to 1200.0 sqft. What is the 1 bedroom price in Silver Oak Welfare Society? 1 BHK units in the project are priced at Rs. 4000000. What is price of 2 bhk in Silver Oak Welfare Society? 2 BHK apartments in the project are available at a price of Rs. 8000000 to Rs. 8400000.
ships with them. Kanakia Codename Future, Kanakia Blue Bell, Kanakia Zen World, Kanakia Samarpan Exotica and Kanakia Country Park are some of its elite projects in the city.